Creating a radio program isn't as difficult as you may think. In fact you can produce your own radio program from the comfort of your own living room. 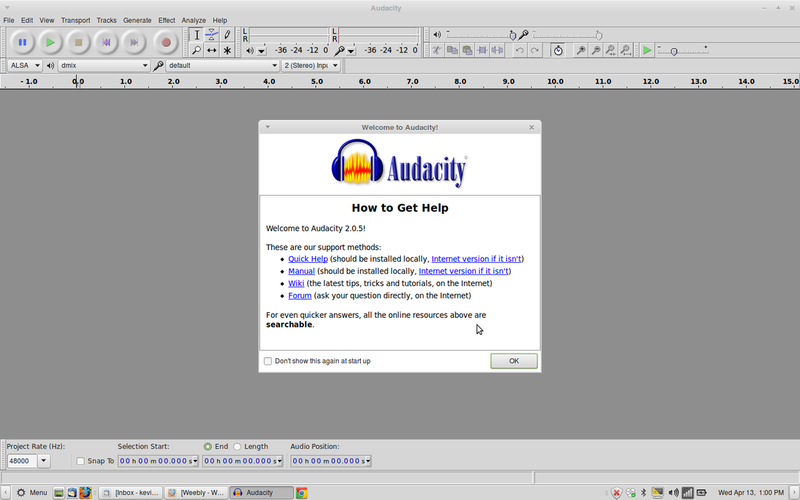 ​Using free audio software called Audacity, a USB microphone, and your home computer, you are set to go! Fill in the boxes below and click to submit. Our content committee will review your proposal and get back to you soon! Once reviewed and approved, you will be contacted to fill out a more detailed form and submit a sample of your proposed show. get started on your show today! Audacity is an easy to use audio editor that is packed with fantastic features such as background noise removal, equalization, amplification and multi-track recording. Don't be intimidated if you're not familiar with these terms. With just a tries at recording, you'll have it mastered in no time. You will also need a USB microphone or a 3 1/2 mm type microphone. We suggest a USB as it affords a better quality sound. For USB microphones, we suggest the Blue Yeti USB microphone. You can check them out Here. Any USB or 3 1/2mm microphone will work if you find that the Blue Yeti is out of your price range. They can be found for around $100.00 new or around $50 used. Check e-Bay. If you need help in producing a show proposal, we offer workshops to help you produce and record your show. Contact us to see when our next workshop is.